DAVIS, West Virginia – Canaan Valley Resort State Park and the West Virginia Division of Natural Resources present "Snakes of West Virginia" Saturday, Aug. 2, 2014. The free, interactive presentation will take place in the Pine Room of Canaan's Main Lodge at 7 p.m.
WVDNR wildlife biologist Jim Fregonara will conduct the presentation and introduce the audience to both venomous and non-venomous snakes from around the state. Designed to teach audience members how to identify the many different local varieties of snakes, this up-close-and-personal presentation will also include valuable information on what to do in case of a snake bite. "After this presentation, the audience will gain a better appreciation of these often-misrepresented animals," explains Fregonara. "The hands-on format allows everyone to interact with these amazing creatures and become better informed." Snakes of West Virginia also will be presented at Lost River State Park Aug. 7 at 4 pm. at the park's recreation building. The Snakes of West Virginia program is offered free of charge and no advance reservations are required. PARKERSBURG, West Virginia –The Mid-Ohio Valley Chapter of the West Virginia Master Naturalist program, in conjunction with Blennerhassett Island Historical State Park, is sponsoring a "Moth Watch" outing on Blennerhassett Island, Sunday evening, July 27. Participants will board the Island Belle sternwheeler at 7 p.m. for a river trip to the island. Attendees will gather at the picnic shelter for a short program about moths and how to catch and observe them. Moth attracting stations will be in place for participants to observe and catch moths. Participants will depart at 11 p.m. for the ride back to the docks. Light refreshments will be provided. People of all ages are invited to enjoy a special night observing animals rarely seen. Master Naturalists will be on hand to assist and help identify moth species. "Moth species outnumber those of butterflies by a factor of 15 to 1. Many of them are as stunningly beautiful as butterflies and yet rarely seen because they work at night," according to Emily Grafton of the local Master Naturalist chapter. "Moths provide an important link in the ecology of our forest ecosystems and much information is needed about the populations. We will also take the opportunity to identify other night life that may appear." Grafton will be joined by entomologist Sue Olcott for this evening of winged discoveries. Participants are encouraged to bring cameras for photographing moths. Some moths will be collected for identification by WVU entomologists. All data will be submitted to a national database, part of the Citizens Scientist network. Participants also should bring a flashlight, light jacket and comfortable walking shoes. The cost to participate in Moth Night at Blennerhassett Island is $12 for adults and $10 for children ages 3-12. This covers the boat ride, light refreshment, program and nighttime experience. The Blennerhassett Island Moth Night July 27 is scheduled in tandem with National Moth Week occurring July 19-27, 2014. 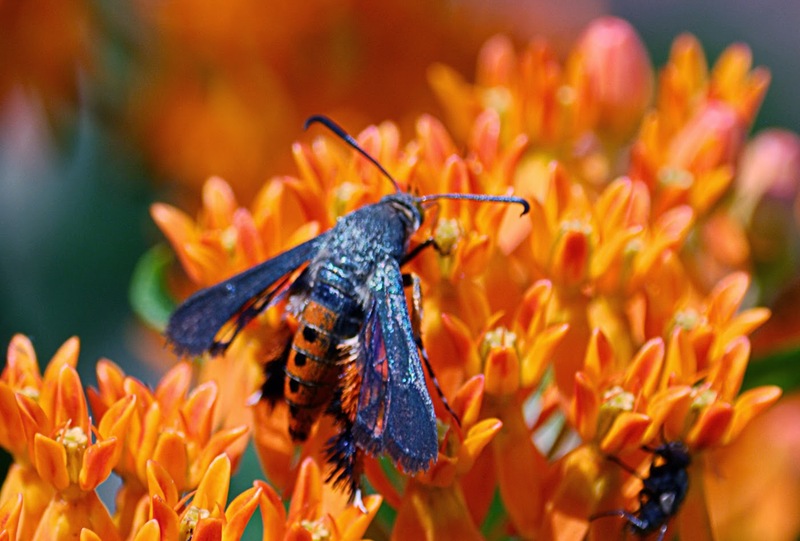 National Moth Week celebrates the beauty, life cycles and habitats of moths, encouraging people of all ages and abilities to learn about, observe and document moths in their backyards, parks and neighborhoods. To learn more about the Blennerhassett Island Moth Night event, call 304-420-4800 or email blennerhassettislandsp@wv.gov. Find these events and more at www.wvstateparks.com. Susan Olcott has worked as a wildlife diversity biologist for the West Virginia Division of Natural Resources since 1995. 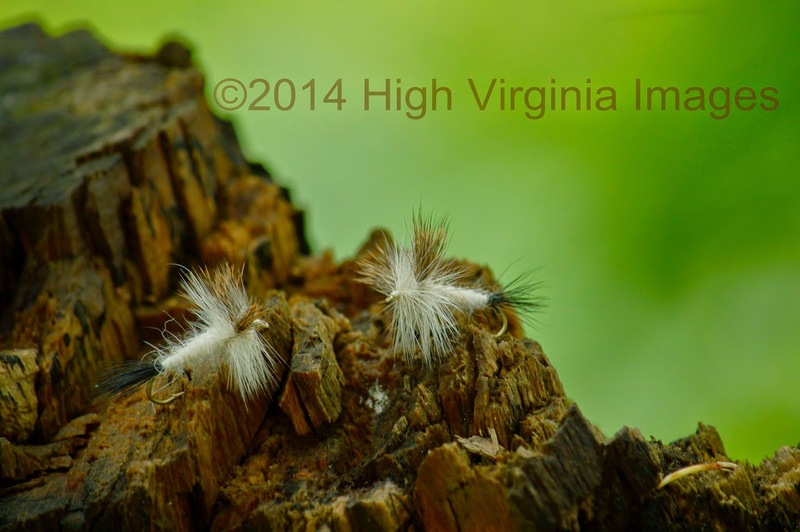 Currently project leader for the West Virginia Butterfly Atlas, she also headed up the West Virginia Dragonfly and Damselfly Atlas. She has been an avid naturalist and birder since her childhood in upstate New York. She holds a B.S. from the University of Maine in Wildlife Biology and an M.S. from Frostburg State University in the same. In addition to numerous point count routes and surveys that she runs annually, she leads public bird walks in the Morgantown, West Virginia, area and spring walks at Prickett's Fort State Park each year and coordinates the northern panhandle region for the current West Virginia Breeding Birds Atlas. Emily Grafton, a West Virginia native, spent the past 35 years roaming the fields and forests of the state observing and learning its natural history. She's earned degrees in botany and special education with an emphasis on teaching science. Emily has worked for several agencies with a focus on environmental education and program development, biological field studies and nature writing. She has written numerous articles on plants and wildlife published in various state newsletters, the DNR Wildlife Magazine and other publications. She has also written two comprehensive field guides to two state parks and is an avid birder. Have you taken the time to sit, stare and reflect on what has happened throughout your personal evolution? Yeah, you’re too busy to go to a quiet place and get lost. Really? You owe it to yourself. I know some who are content with the same old thing and never attempt anything new. I’m thankful that I have never been trapped in that place. Think about something that you used to enjoy doing but can no longer find the time for. Hey, you heard it here first: You’re never going to be rich so you’ll be better off happy. I recently re-discovered something that I really enjoy doing. I have been able to squeeze in a little bit of fly fishing over the past fifteen or so years and I was somewhat content with the time spent doing so. The bad thing was that I was never able to go at prime time in the places that I really wanted to be. I made do and fished streamers and nymphs. I always managed to catch some fish and all was well; or so it seemed. That was until a few weeks ago. I was just piddling around one evening with the dogs on a small stream close to home. We all know that our wonderful 4 dollar gas doesn't allow us to get too far away, anymore. The dogs were trailing mink which has become their favorite way to get tangled up and I was starring in the water. There was one subtle rise on the far side of the stream. I couldn't see any insect activity other than a few crane flies. The beagles were thoroughly entertained so I waded out in a shallow riffle and scooped up a hatful of water. Spent Sulphurs were in my hat. 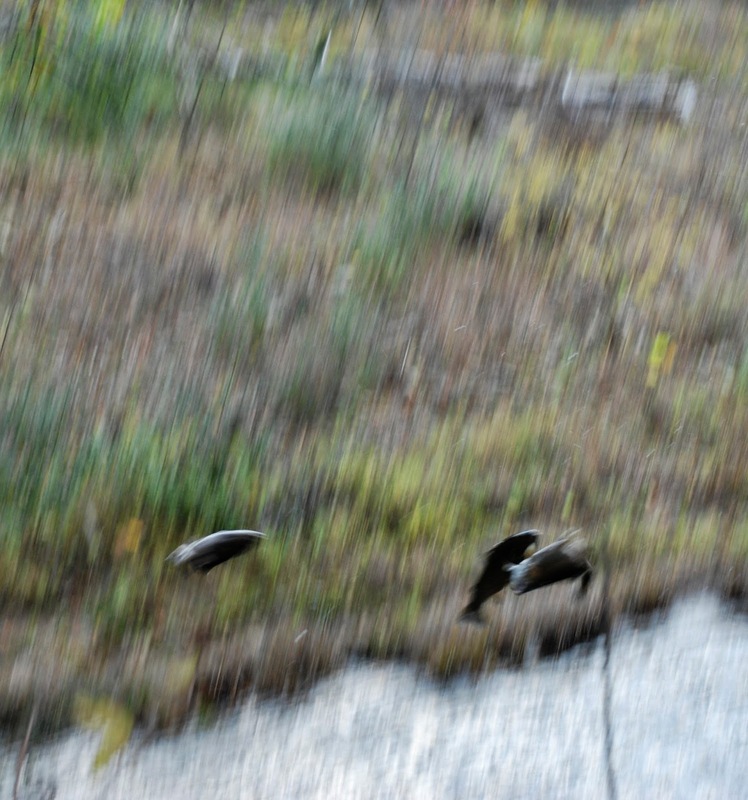 They were invisible to me while looking at the water; but there were apparently thousands to be sipped up by the trout. There had been a mayfly hatch on the stream earlier, the females had returned to the stream, laid there eggs and died. Many now floated in the surface film. I returned to the stream bank and watched downstream. I could count fifteen actively feeding trout within 75 yards of my location. The wheels started turning. I knew that I couldn't fish that section with the dogs around. It was too shallow and too tight that was sure to equal spooky fish. It was getting late so I just watched and came back alone the next evening. I was not disappointed, even though my small water casting skills needed some honing. I managed to catch nine rising trout in about a 200 yard section of stream. The trout, while none were over a foot long were all caught using spent Sulphurs on the surface. I really enjoy stalking and fishing for surface feeding trout. You have to be careful not to spook them and then make the perfect cast. Dry fly and terrestrial fishing for low water trout after the fish trucks quit running is the ultimate one on one outdoor experience. I’m hooked once again. Why did I quit doing it? Sometimes I just wonder. SUMMERSVILLE, West Virginia – The West Virginia Division of Natural Resources, in cooperation with the West Virginia Professional Outfitters Association (WVPRO), stocked 750 pounds of rainbow trout in the Summersville Dam tailwater of the Gauley River June 27, 2014. "The goal of the stocking is to enhance summer trout fishing opportunities in the Gauley River," said Frank Jezioro, DNR Director. "Another stocking will be conducted in August." The program is supported by rafting fees to compensate for additional days of whitewater rafting flows on the Gauley River. Fishing opportunities are reduced during these high flows released from Summersville Dam. 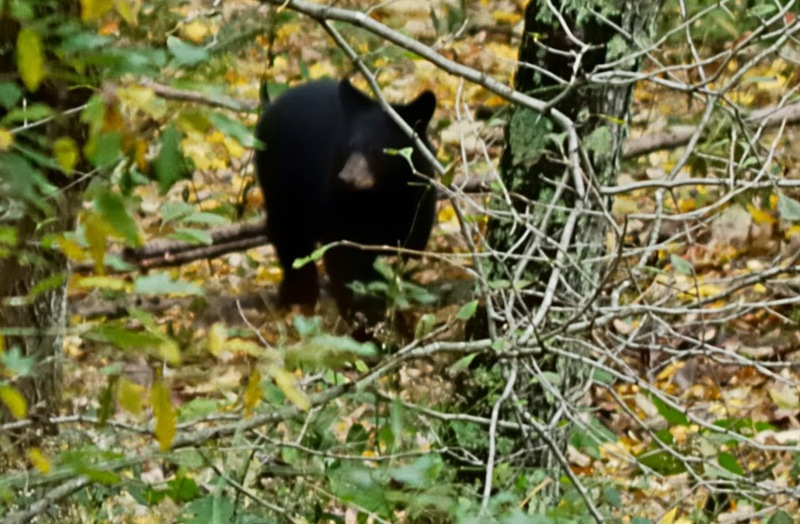 MORGANTOWN, West Virginia – The West Virginia Division of Natural Resources (DNR) is investigating an encounter between a black bear and a woman in the Mayfield Road area of Morgantown, West Virginia, according to Colin Carpenter, black bear project leader for the DNR. DNR personnel are searching for a female black bear with two orange ear tags. The sow is likely to be accompanied by two yearlings. Monongalia County residents who spot that specific animal should contact the District DNR office in Farmington at 304-825-6787. To avoid potentially dangerous situations, DNR personnel want to remind residents that bears quickly become habituated to handouts in the form of trash, bird seed, pet food and feed placed out for other animals. As a result, they lose their fear of humans. Bears that have lost their fear of humans resort to raiding garbage, outdoor freezers, storage sheds, vehicles and other structures associated with people. Feeding of any wildlife should be avoided for numerous reasons. These include but are not limited to: disease transmission, increased predation, habitat destruction around the feeding site, ethical concerns, and the animal's overall health. Residents are reminded to secure their bird seed, pet food and trash to ensure that black bears remain wild and free in West Virginia.